Thanks again for the tasting at Blasco on Friday. We really appreciate the time and effort you put into organising these. The wine guy was so anxious to take our Cava to our car and Celea followed him that we just got in the car and drove off for a meal. So apologies for missing to say cheerio and to thank you for another enjoyable event. Along with the cava we also bought a box of the Mara white wine and have already tasted one at a much more reasonable temperature though and it was fab! 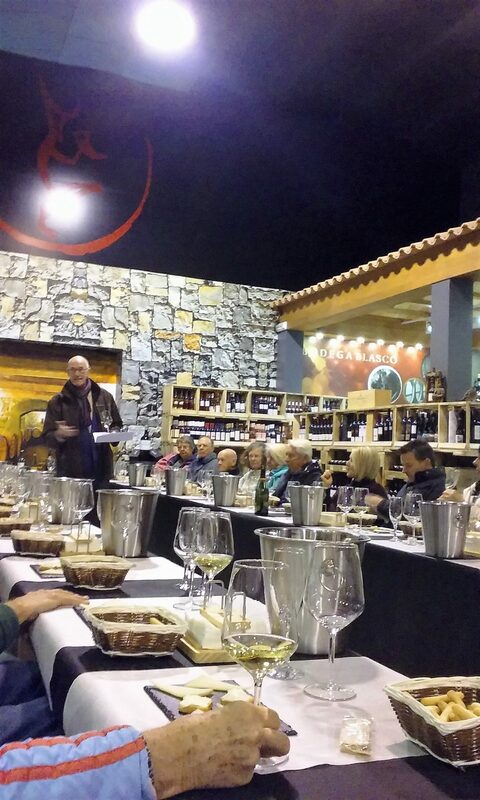 Masterclass – All You Need To Know About Bobal! Thank you for an interesting and nice wine tasting about Bobal. Last night’s master class was a triumph. Ros and I had a wonderful time tasting the various Bobal wines and listening enraptured to your explanations of the history of this grape. The tapas at the end of the class were superb and we (and the rest of the audience) enjoyed a truly excellent experience. Thank you for a most informative and enjoyable evening. I thought the classroom format was really good, and having the tapas (also excellent) afterwards made it easier to concentrate on the subject than commentary with a dinner. I hope you do more of these on terra firma, as well as onboard ship. Thanks for an entertaining Masterclass last Friday. As discussed, could you kindly send me a copy of the “Wine Map” of Spain you included in your presentation ? Thank you very much once again for your lovely presentation. Lovely photos in Facebook, thanks a lot! We keep in touch ok? Regrets re end of my radio Programme – from one of its Sponsors, who wants more! Siento lo de tu programa, qué pena. Espero que encuentres pronto otra emisora y podamos hacer el programa y la entrevista en ella. Ya me irás contando y cuenta con nosotros! I’ve just heard the news and I am deeply sorry about this. I just wanted to know that your wine programe was a great show…it was a really good way to stay in touch with all what’s happening in the Spanish wine world. Anyway, I am positive things will work out eventually and your show will be truly appreciated by mass-media. 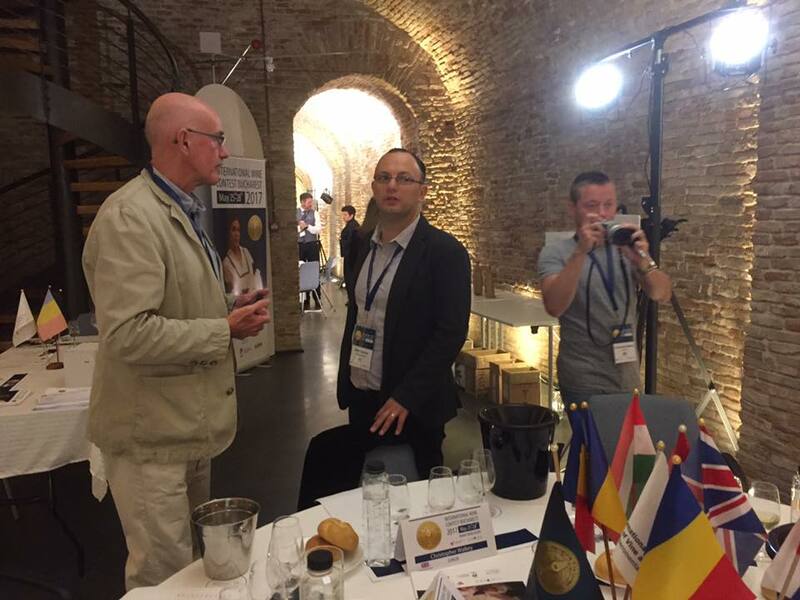 With fellow International Wine Judge, Chris (background) and International Wine Contest Bucharest official, Silviu Serban, in Romania 2017! Colin, sorry to hear that your radio show may not be with us much longer. 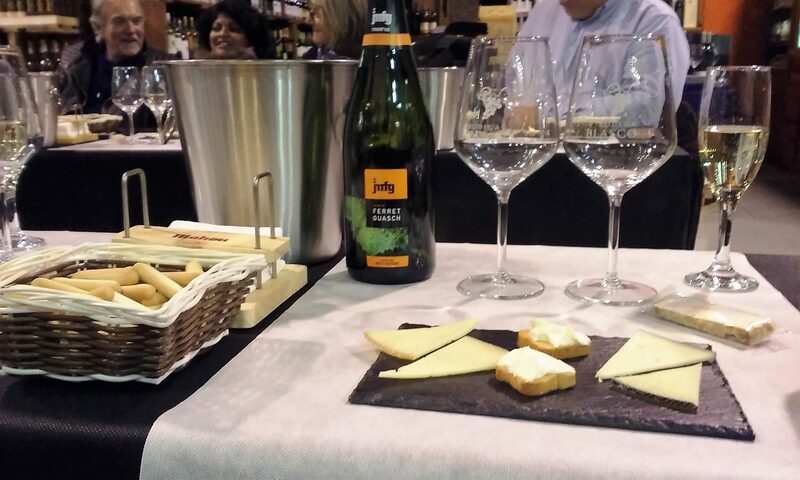 We do enjoy your tasting and pairing suggestions,as well as keeping us up-to-date with the wine world, not to mention the occasional opportunity to come to Spain and taste some of your Spanish recommendations! Sipped by Nicky and Richard whilst listening the the final(?) Fine Wine & Gourmet Dine Programme! 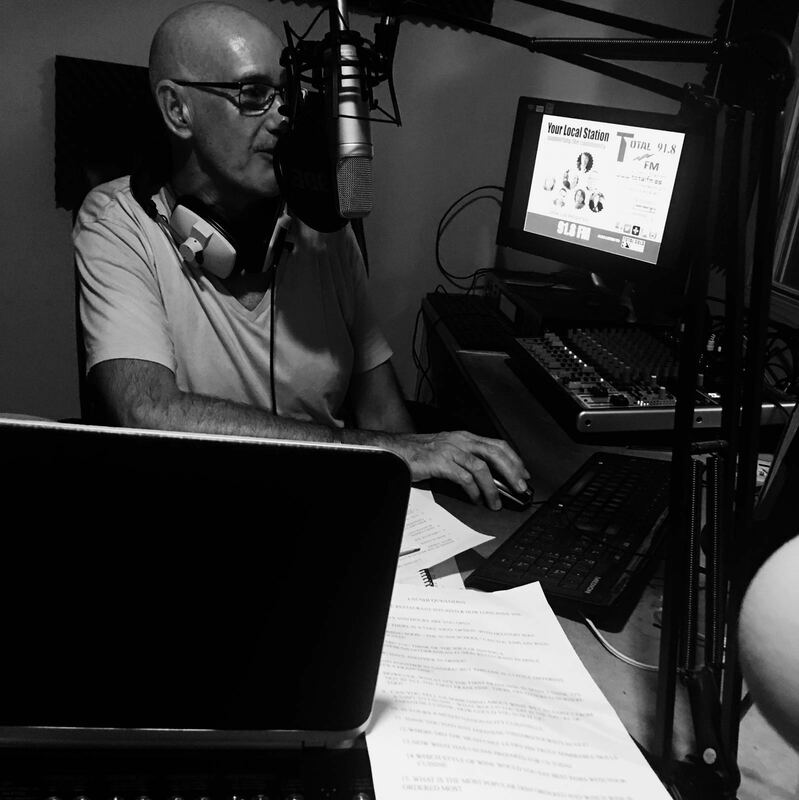 Cava de Paraje Calificada on-air tasting – comment from producer! Gracias Colin por este link y el WeTransfer del podcast. Oigo a Eric Clapton hacer una maravillosa introducción! Muchas gracias por aceptar la sugerencia. Absolutely wonderful is the comment that I keep from you! Thank you once again. You ended up pronouncing SABATÉ I COCA very correctly, even the word CASTELLROIG – not so difficult though for an English speaker! Subject: A BIG THANK YOU. Thank you for brightening up Phil’s and my miserable day. Firstly Phil’s team got thrashed by Arsenal 5 – 2, then whilst your were on air, Liverpool were getting done over by Spurs 4 – 1. It couldn’t get any worse, Oh and Tranmere lost yesterday. Then a knight in shining armour arrived on the laptop to cheer us up. 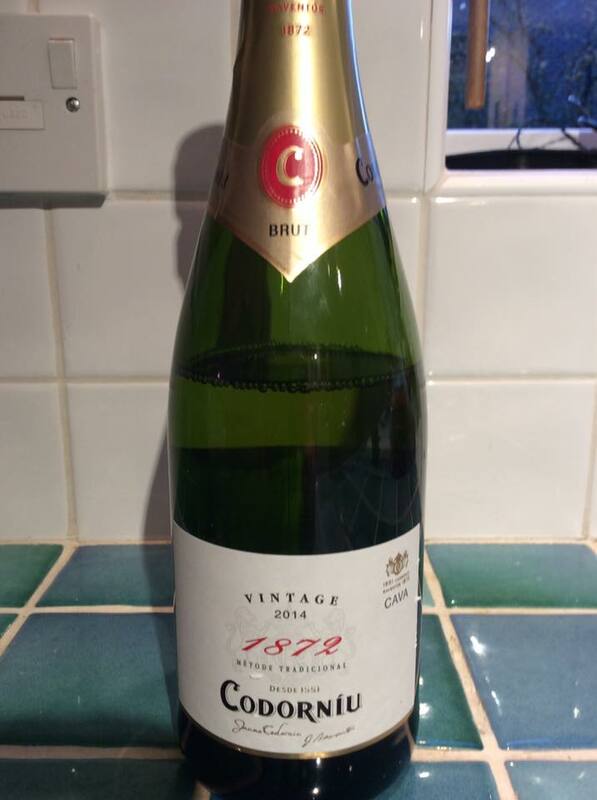 Well done, it was very interesting, and you were very generous in your comments towards us, the Rogers and Phil, and Cheshire Badminton in general. Great memories for us all. All the records we chose were spot on for us – thank you. I would really like to think that somehow Steve got to know the record we chose for him. Oh and thanks for airing the ” Barney Rubble ” tag. Seems I can be quite useful sometimes! I have just spent a wonderful time at Blasco tasting a series of reds. It seems to me that each of several stalls dotted around were manned by representatives from a variety of bodegas. All the chaps were delightful and helpful, as you’d expect. In the end, I settled on a Ribero roble from Torres, Celeste, which was a good price and bought 6 bottles. Many thanks for suggesting that I go along – it was most enjoyable. Many thanks for the info below. We went along with Hilary and Stewart and had a fab time. We all said it was one of the best tasting we have been to. They had disco music, many tasty snacks and several bars set up for tasting and as you said all for free and all in a great relaxed atmosphere, they even told us to keep the wine glasses afterwards. There were some excellent wines there and we both bought boxes to stock up! See you next Saturday at the Golf Club! Hola – a quick note before lightening hits my computer! I’ve been invited to a rather fine tasting at Blasco, Teulada, this Friday – runs from about 11 am – through to late. 21 Torres wines, from various different DOs – I’d definitely go but I’m teaching all day! However, I asked if ok to invite others, and they were happy for me to do so! Show was great for those interested in foods and wine and especially what was being produced in the region that Colin was based – All extra exposure for the world of wine and gastronomy is always a good thing, a popular subject and a worthy one too. 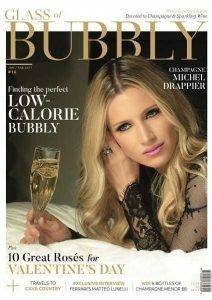 Christopher Walkey, Founder of Glass of Bubbly.